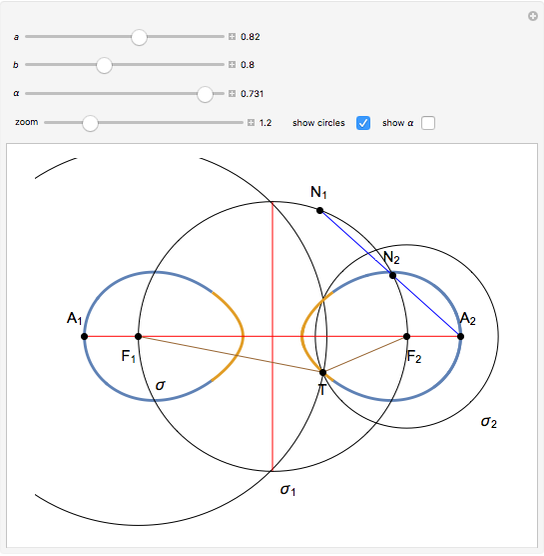 This Demonstration shows a ruler and compass construction of a point on a Cassini oval. Fix two points, and (the foci), a distance apart. 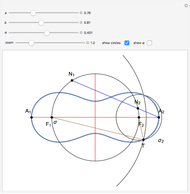 A Cassini oval (or Cassini ellipse) is a quartic curve traced by a point such that the product of the distances is a constant . 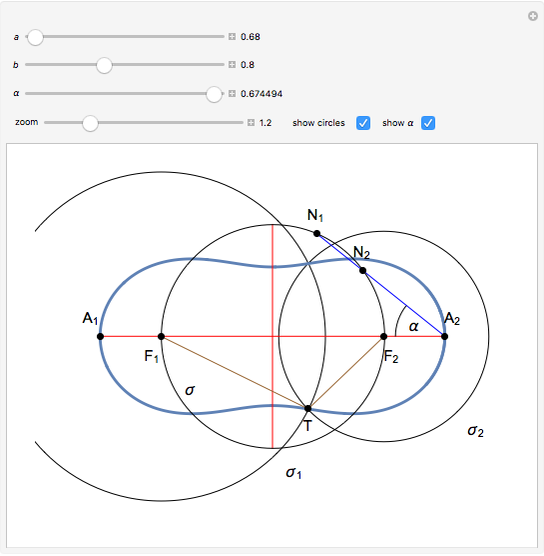 Let be the circle with center at the center of the oval and radius . Let be the right apex of the oval. 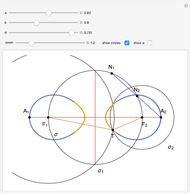 A ray from at an angle to the line meets at the points and . 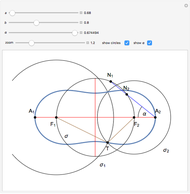 Let be the circle with center and radius and let be the circle with center and radius . Let the point be one of the intersections of and . Then the product of the radii and is equal to the product , so is on the oval. The construction can be found in [2, pp. 189–190]. E. W. Weisstein. 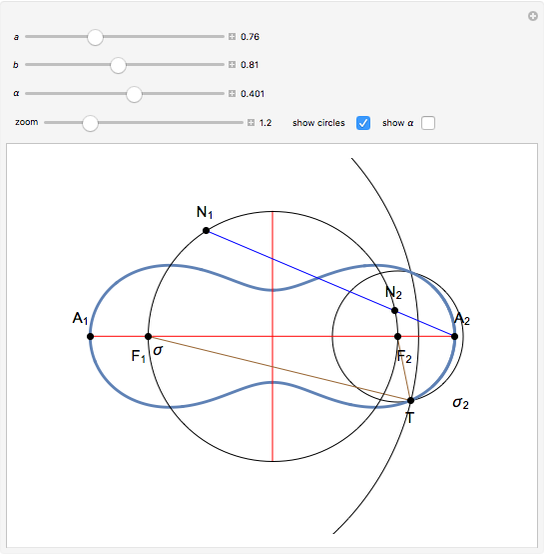 "Cassini Ovals" from Wolfram MathWorld—A Wolfram Web Resource. mathworld.wolfram.com/CassiniOvals.html (Wolfram MathWorld). A. A. Savelov, Plane Curves (in Croatian), Zagreb: Školska knjiga, 1979. Izidor Hafner and Marko Razpet "1. Constructing a Point on a Cassini Oval"